Love the contrast of the green and white. His double breasted blazer almost does his look no justice, because you would miss the white belt which goes perfectly with the white Ferrragamo loafers and white pocket square. 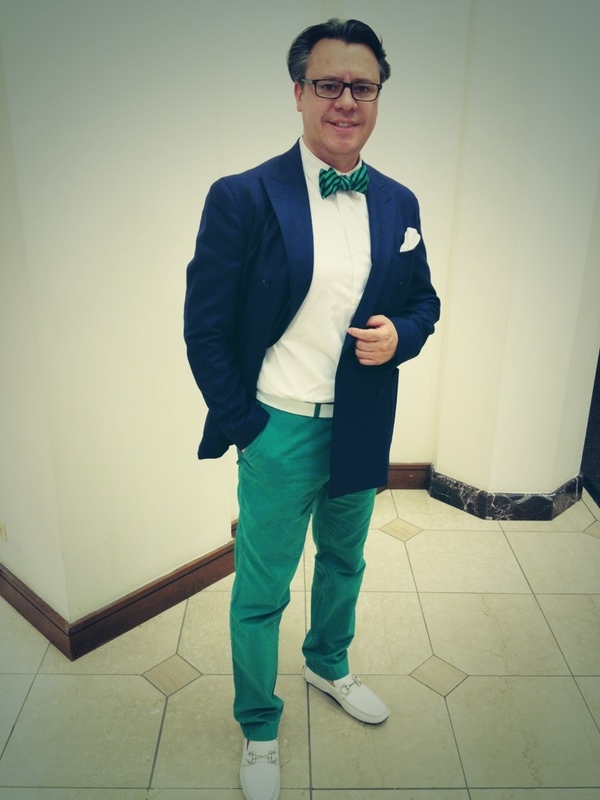 que hombre tan guapo,se nota que sabe de moda, postura y combinacion fashion. Me encanta…..